Do you know the difference between turf shoes, cleats and indoor soccer shoes? The primary goal of all three styles of athletic shoes is the concept of traction, but they achieve this goal in different ways. The biggest difference between indoor turf shoes and outdoor shoes is the size of the cleats (the studs on the bottom of the shoe). Outdoor soccer shoes have rounded or bladed cleats. Turf shoes have either very small studs or a traction pattern for extra grip on artificial turf–depending on whether the turf is indoors, outdoors. Turf Shoes - designed primarily for play on artificial turf, these sports shoes can also be used on real grass. 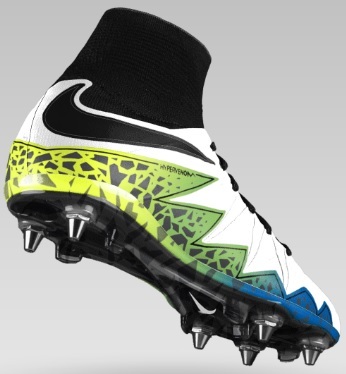 They have smaller studs than traditional cleats. 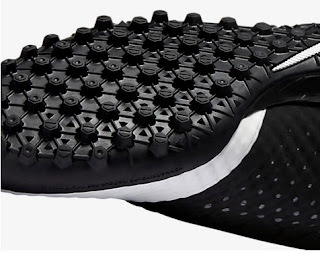 Cleats / Studs - The shoe is typically covered with eight to 15 studs. Cleat studs can be made of metal or rubber, depending on the sport. Indoor Soccer Shoes - indoor soccer shoes are available for playing on hard surfaces (such as wood floors, cement, etc.) as well as for playing on indoor artificial grass (artificial turf). They can be made with real or synthetic leather uppers and strong stitching. Indoor soccer shoes are made by many different footwear brands including adidas indoor soccer shoes, Nike indoor soccer shoes, PUMA indoor soccer shoes etc. Shoes are made in all of these categories in both men's and women's sizes. Shop for shoes at Nike, adidas, and other fine footwear companies. We hope that this helps you better understand the difference between cleats and turf shoes. Hopefully you can now find the perfect stud.